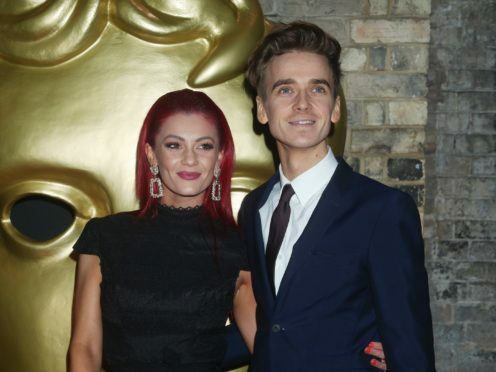 Buswell and YouTube star Sugg embarked on a romance after being partnered in the most recent series of the BBC programme, in which they were finalists. The professional dancer will soon head off on a ballroom and Latin dance tour with fellow Strictly colleague Amy Dowden and former Strictly star Chloe Hewitt, and she said that Sugg will accompany her. Buswell, 29, told Hello! magazine: “He’ll be travelling with me to quite a few places. Of their romance, she said: “Things are going well between us. He’s adorable and lovely. Buswell said that she and 27-year-old Sugg “both have a very similar personality, so we almost know what each other is thinking”, adding that they “just get on so, so well”. The couple, who confirmed their relationship after the TV show’s final in mid-December, recently performed across the UK together again on the Strictly live tour. Buswell, Dowden and Hewitt will hit the road on their Here Come The Girls tour in early March, which will see Dowden partnered with her fiance Ben Jones on stage. However, Hewitt – who appeared on Strictly for two series – said she will not be bringing her mystery new partner along with her. Hewitt said: “We don’t need men. I’m super excited (about this tour). The full interview appears in Hello! magazine, out now.